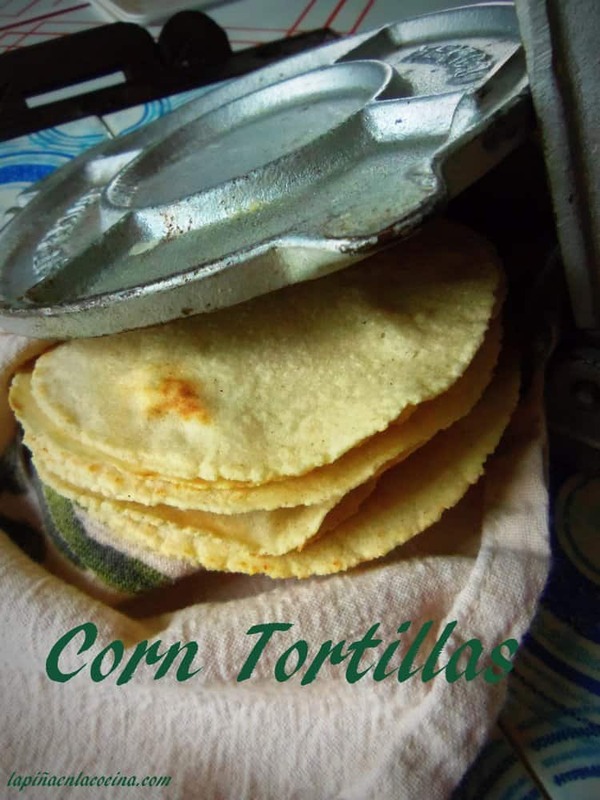 While in Texas last summer, my sister in law Norma would prepare a fresh batch of corn tortillas every other morning. I have prepared many over the years, but from the moment I ate the first one she had prepared, I knew I was doing something wrong, lol! 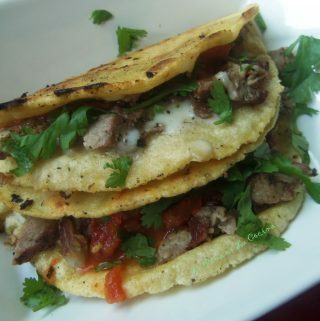 Hers were so soft and pliable, where most times when I would prepare them for tacos, they would crack once in a while when you tried to fold them. I soon quizzed her on what her method was. For years, I would start with the dry masa harina and gradually add in the hot water until the dough formed. 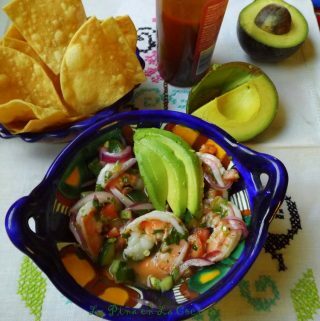 She starts with room temperature water and gradually adds in the masa harina. And she also rolls the dough balls several times in between her hands, which I believe removes the excess moisture and smooths out the masa . I could be totally wrong about this, but I could not wait to get home and try a batch using her recipe. 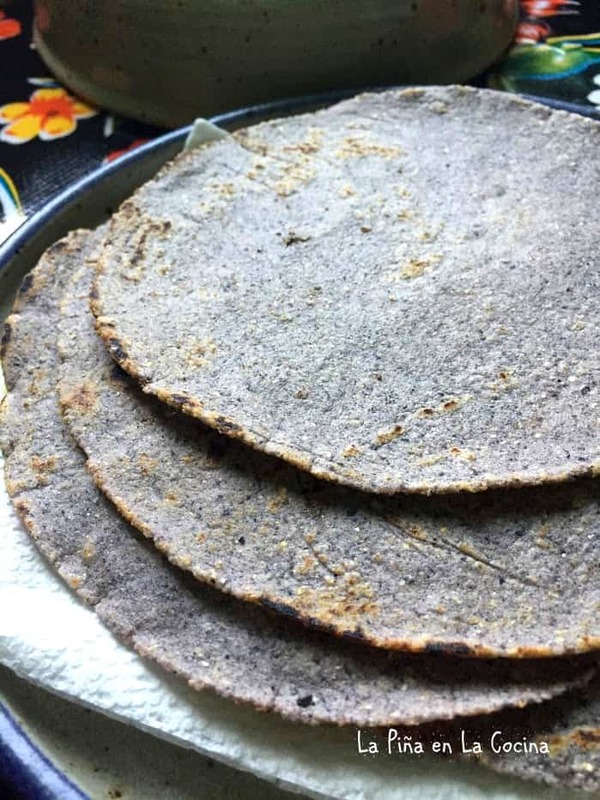 Since that trip, I have prepared at least 6 batches using Norma’s recipe and it really did make a difference on the softness of the tortilla. 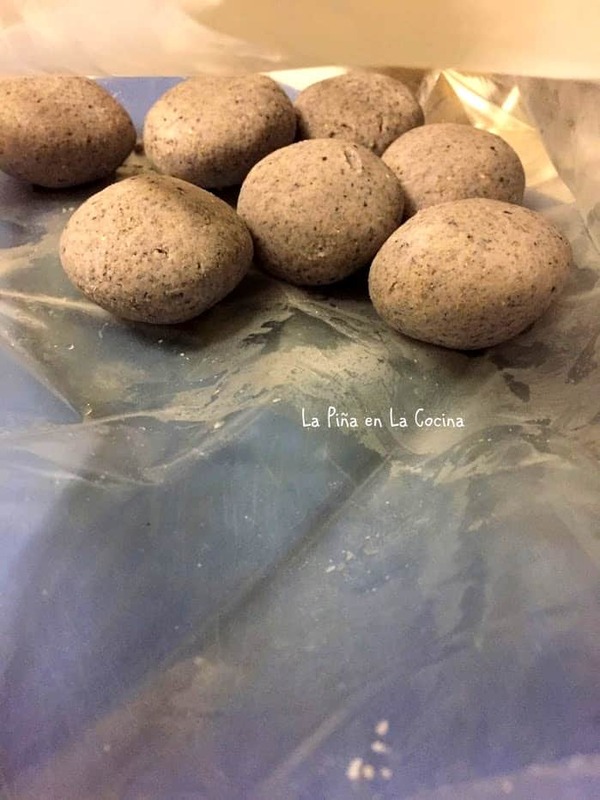 I experimented with the recipe by adding olive oil and a little baking soda in the past. But in the end, I didn’t think that it really added enough to the recipe to use them again. Keep it simple. I love that we never stop learning and am so grateful for my new sister- in-law Norma. In a large bowl, add the water and the salt. Stir to combine. Gradually add in the masa harina until the dough forms. It will be slightly sticky, if too sticky, add another couple of tablespoons of masa harina. Cover with plastic wrap and let set for 20 minutes. Cut the plastic bag down to line the inside of tortilla press, about 5X5 in size. If using the plastic(t-shirt) bags from the store, cut down and wash surface and let dry before using. Preheat the comal or griddle to medium heat for 5-7 minutes. 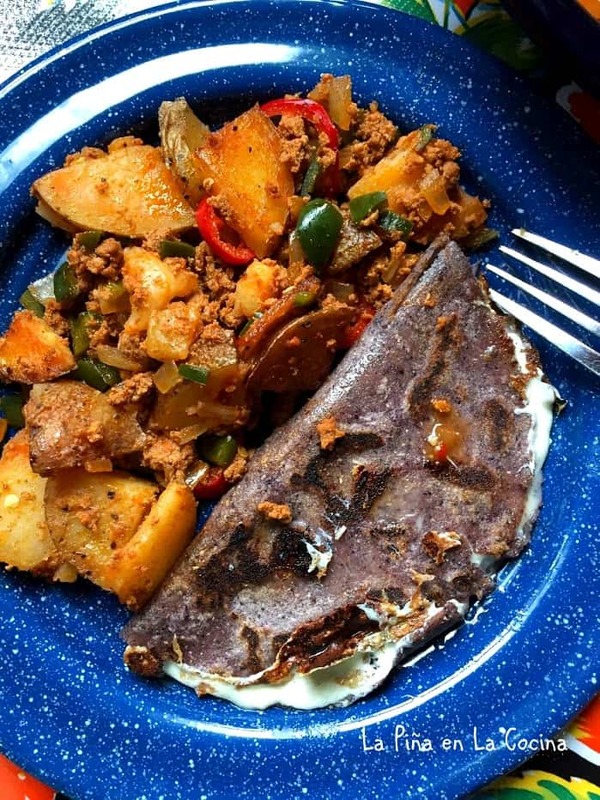 A hot comal or griddle pan is very important. Take enough dough to make 20 dough balls. Keep them cover with plastic so they don’t dry out. 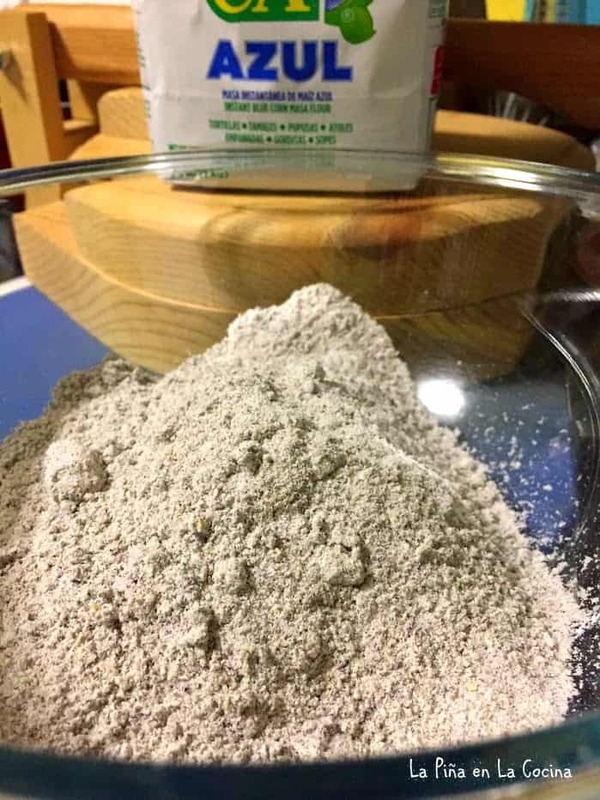 When ready, roll it several times in between your hands and flatten slightly. Press to about 5 inches in diameter. 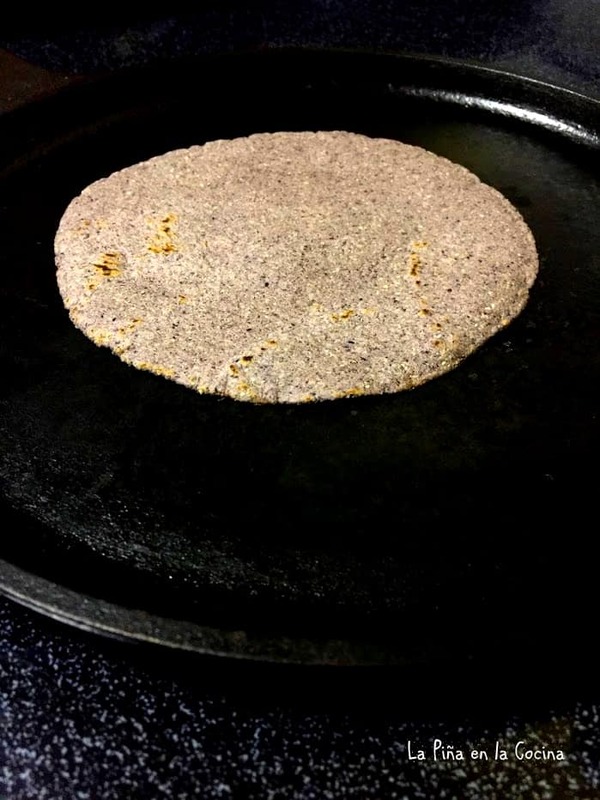 Making sure the tortilla fits comfortably in the palm of your hand, peel off the plastic and transfer to hot comal or griddle. If the tortilla tears, just roll it into a ball and start over. Tortillas are ready to turn when they release easily from the comal. Turn over and cook for another 30 seconds or so. Turn again and using a flat metal spatula, press gently on one side of tortilla. 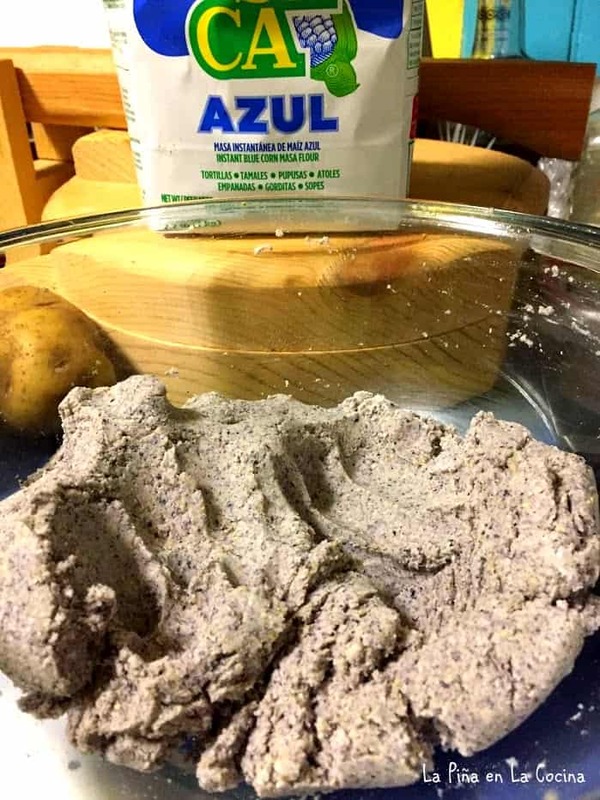 This will create an air bubble in between the tortillas, making a softer and lighter tortilla! Yay!! LOL! Remove from heat and keep warm in between two kitchen towels in a covered pan. The steam created will yield a softer tortilla. I promise! Tested! 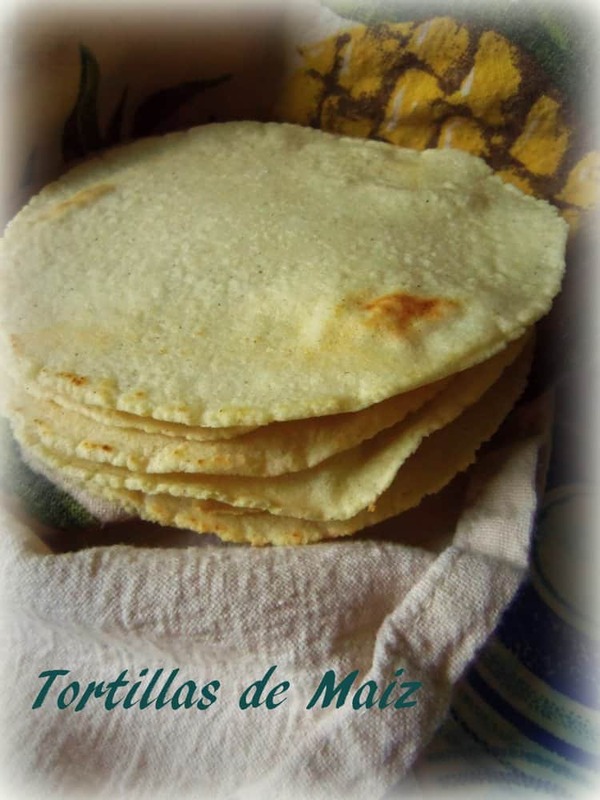 Once you ge a taste for homemade corn tortillas, the store bought tortillas will just not be as good. Well, unless you live in a big city with an awesome tortilleria! 1.The dough is a bit stickier than my old recipe, so rolling several times in your hands releases a little of the moisture before cooking. 2. My hands are small, so I can only make small tortillas, hahha…bigger hands, bigger tortillas. 3. Don’t give up…my first half was not the greatest…the second half were awesome…practice, practice, practice! 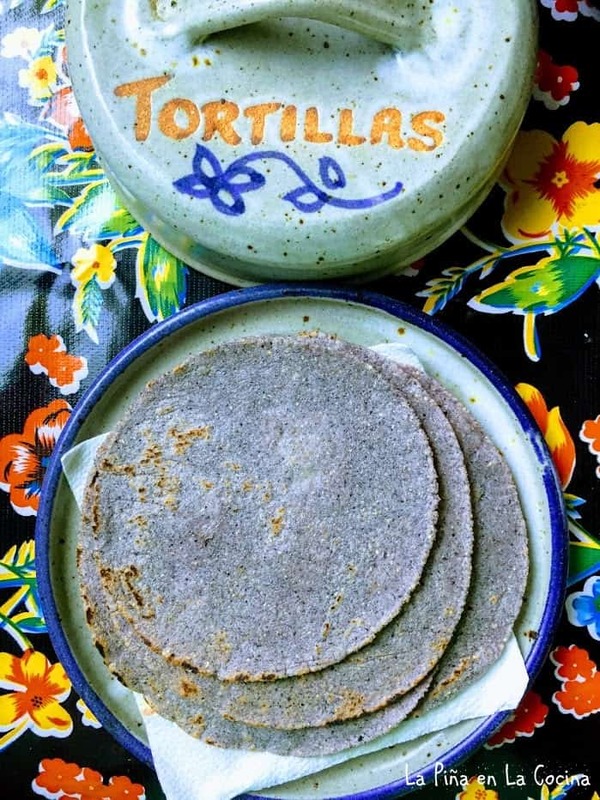 For blue corn tortillas, follow the instructions for tortillas above. The only difference is that it requires a little more water, in my opinion, and the masa is more coarse. Enjoy! 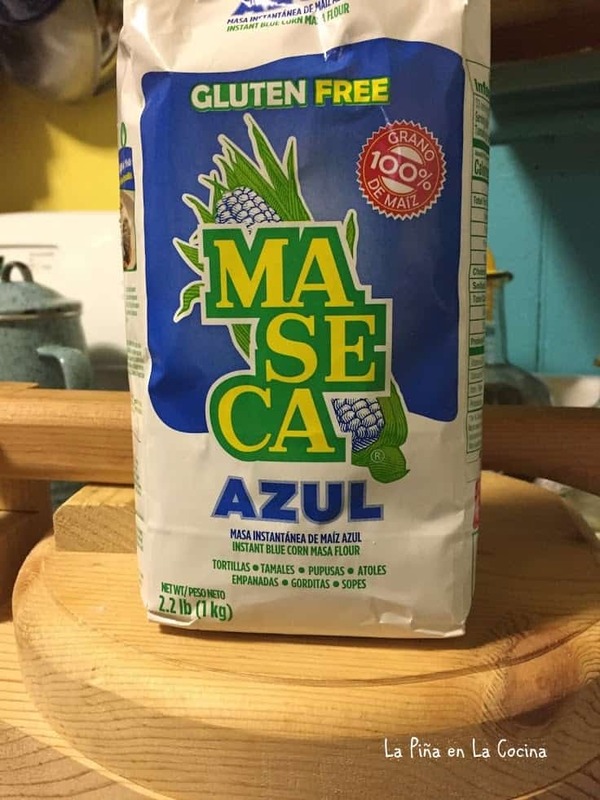 I was wondering if you have a recipe for from scratch corn tortillas without using the masa harina cheat cheat, as my son is going to France in a few weeks and wants to try and make enchiladas while there and most likely there will be no masa harina available. He wants to practice making these before he leaves. 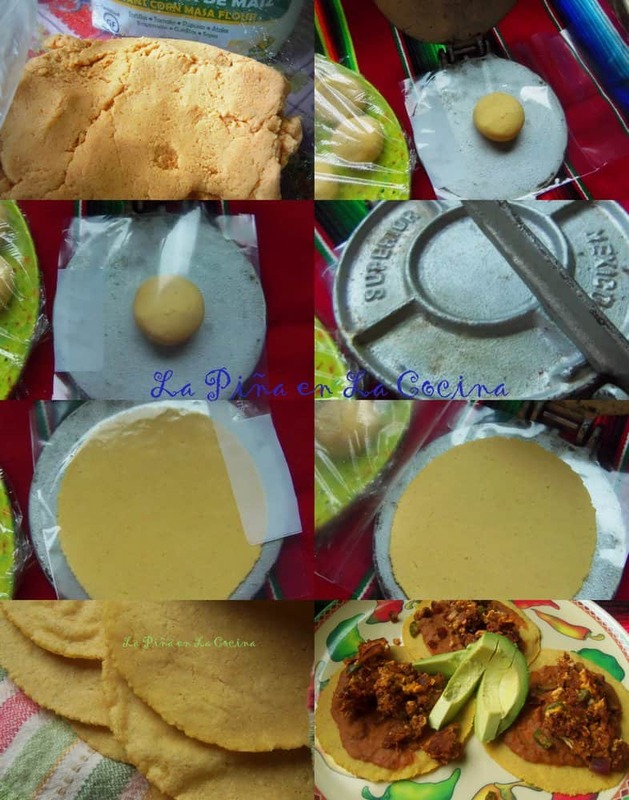 Wow, I really can’t think of anything he could to make corn tortillas without masa harina or fresh ground nixtamal. Has he considered making flour tortillas instead. I know I don’t make enchiladas with flour tortillas, but the tex mex version is tasty when you crisp up the flour tortillas after rolling them. 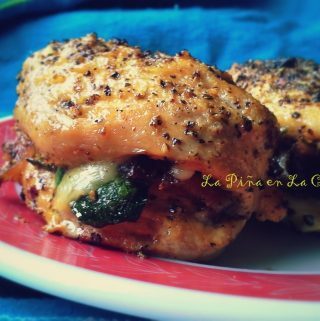 I have a recipe for Enchiritos. It’s a cross between an enchilada and a burrito. 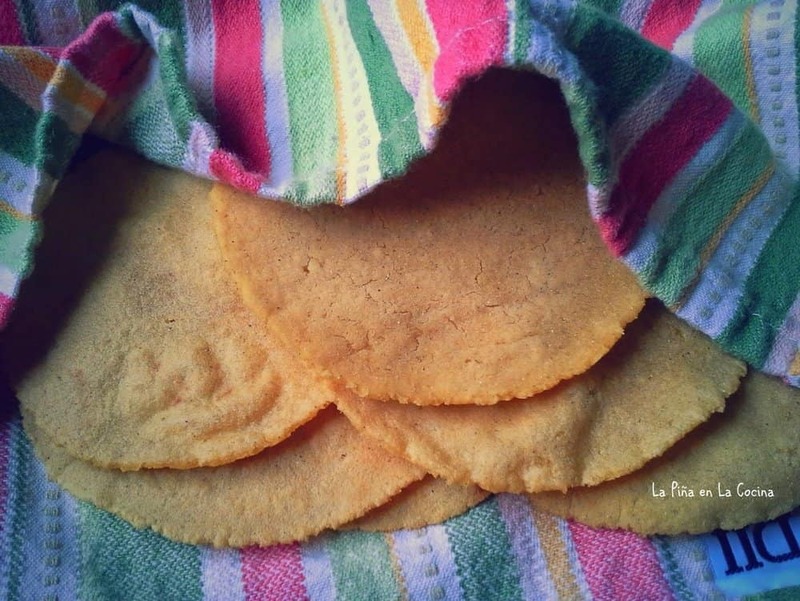 I could have sworn that I came a cross a recipe for tortillas using cornmeal, but I have never tried it. They sell masa harina all over the UK these days. Wonder if someone in France may have it…Hhmmm.. Sorry dear, but I am confused. You said Norma’s recipe that used room temp water and mixed differently was softer, then gave us your recipe. Do you mean the rolling tecnique was what made them softer? Linda, sorry for the confusion. Kneading the dough a little extra helps. 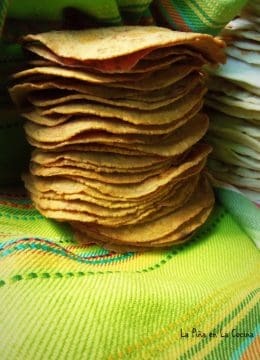 But what really yields a soft tortilla is keeping them covered as you cook them so that the steam created keeps them from drying out.